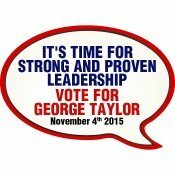 Be it a political campaign or an office election, candidates always strive to build effective campaign strategy. They can use political campaign magnets in a wiser way to make impressions to the crowd and save their marketing expenses. 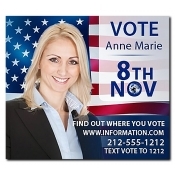 These promotional magnets lend them large space for printing their logo, graphics, contact details and election slogans. Save on shipping, art setup, online design proof and full- color printing because they are offered FREE. We offer one of the distinguished collections of political campaign refrigerator magnets designed on the best-selling rectangle and square magnets and typical shape magnets. Additionally, we invite our clients to try positioning their campaign information over state shaped magnets, blurb shaped magnets and more. Many traditionalists may argue on competency of a campaign and a promotional magnet. However, is not true because both go well together. During the campaign, a campaigner always expects to meet as many people as they can by staying within their constraints. 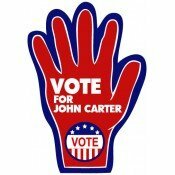 These campaign and election magnets help them to achieve their goals by lapping on refrigerator doors or work cabinets in the homes of their probable voters. At Custommagnetsdirect.com, we offer customized magnets at extremely affordable prices and these are no different. Being lightweight, campaigners can consider these customized political magnets as gifts during election rallies, trade shows, community events, televised events and more. Over the years, campaigners have heavily invested in logo printed lapel pins, notepads, ribbons, caps, pens and other clothing material to build their impact. The problem with these promotional items is that they possess certain limitations when it comes to customization. They lose their charm over time and end up becoming another wasted item. This time however, candidates can seek a brilliant route by investing in these personalized magnets. 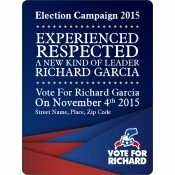 Our campaign magnets offer long-term visibility due to their special made in USA construction. 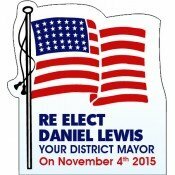 We can proudly say that our customized magnets add tinges of patriotism to any campaign. If campaigners cannot individually meet their prospective voters and supporters, they can easily mail these campaign magnets to their addresses and people are going to receive it wholeheartedly. In addition, they are going to retain it over their refrigerator doors or other visible ferrous surface for reference. 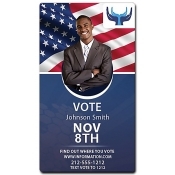 To know more about design, shipping and other aspects of these campaign and election magnets, feel free to contact our team by calling at 855-762-4638 (Toll Free). If time spares, please write to us at info@CMagnets.com.